Sometime last week, I got an unexpected package from Myra, which I think is pretty popular for their girl vitamins (Myra 300 E). The first tinted moisturizer I ever tried was by Myra, back in college probably, and I chucked that thing out incredibly quick because I was much more afraid of shimmery things on my face back then. This time around, I got to try their version of the BB Cream. I say “their version” because I don’t think this comes even close to your standard BB Cream. 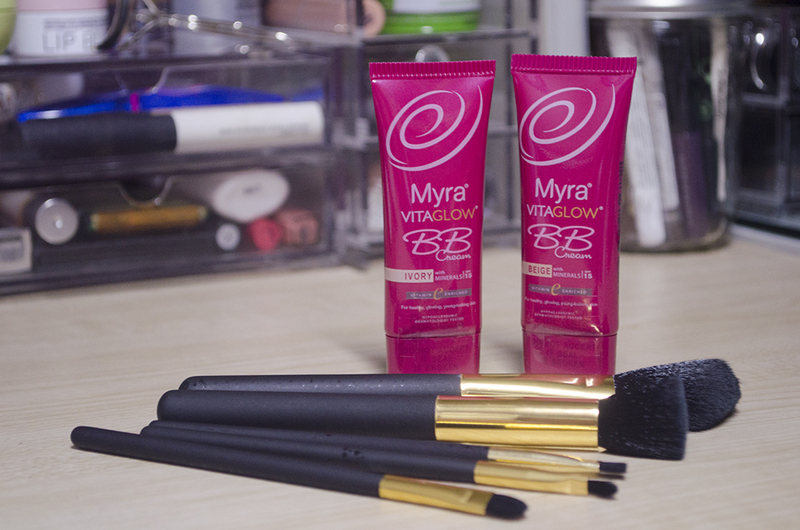 The Myra VitaGlow BB Cream* comes in two shades: Beige and Ivory, which is kind of weird because I think more Filipinas would actually benefit from medium, darker shades. But then I forgot that most Filipinas like looking white. It doesn’t really matter, though, because the pigmentation of this stuff is pretty weak. This is what the swatches above look like blended out. I don’t usually use flash in my pictures, but this is what it looks like when you use the product in natural or your standard white light. In warm yellow light that’s not that harsh, you don’t really notice the shimmer much, but it’s not like you can only look like you can pick just the yellow lights, you know? In the swatch of Beige above, you can also see how it blends out really patchily. On the face, indoor light, no flash — it looks okay after you blot your face with a facial tissue and upon application. The glow is, in actuality, an oil slick, you guys. If you will be staying in an airconditioned office the whole day or something, it might not look as grody as this, but I don’t think we all have that luxury. I know I don’t and I also know that I don’t want to look like an oil slick. 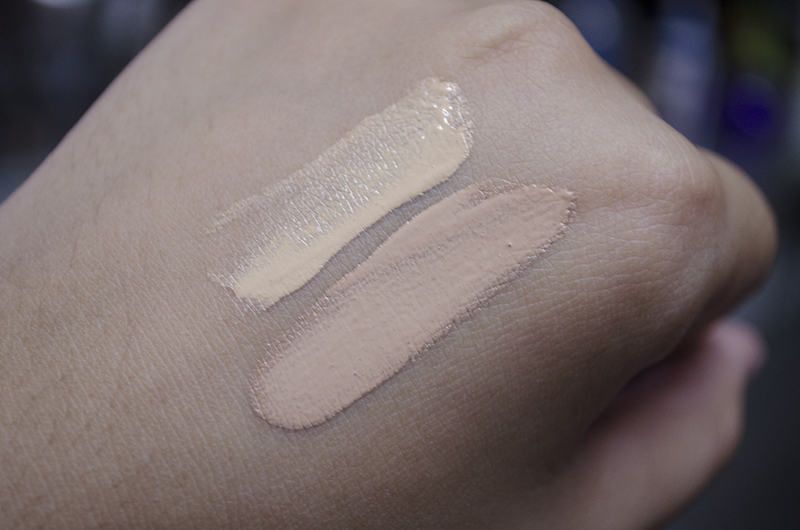 In the PR spiel of the product, it claims to contain “skin-enhancing minerals” that makes this BB Cream unique—a natural, glowing finish to the skin! 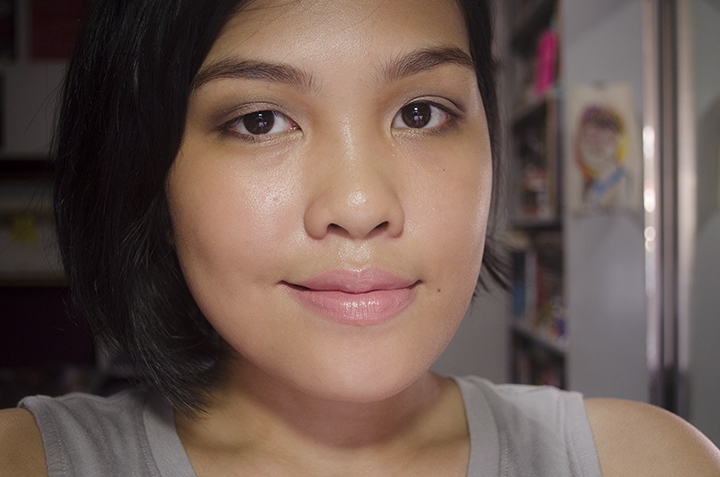 The “subtle, light-reflecting shimmers” are supposed to give a lit-from-within glow, but this just makes me feel like Edward Cullen: sparkly but a bit dead inside. On paper, this seems like the best base product, especially for people on a tight budget. It claims to be a beauty and skin care product in one—it is moisturizing, contains Vitamin E, doubles as foundation, gives you a natural glow, is buildable to act as concealer, has SPF 15, is hypoallergenic, and is affordable. Each small bottle costs only Php 99 or roughly around $ 2.50. See, I have a problem with products that promise so much, though. Because this one definitely doesn’t deliver, and it’s such a shame, too, because the local market is ripe for a product like that. Is that harsh? Probably. But I don’t believe products should over-promise then under-deliver. I mean, have the formulators of this product not been out and about in Manila? 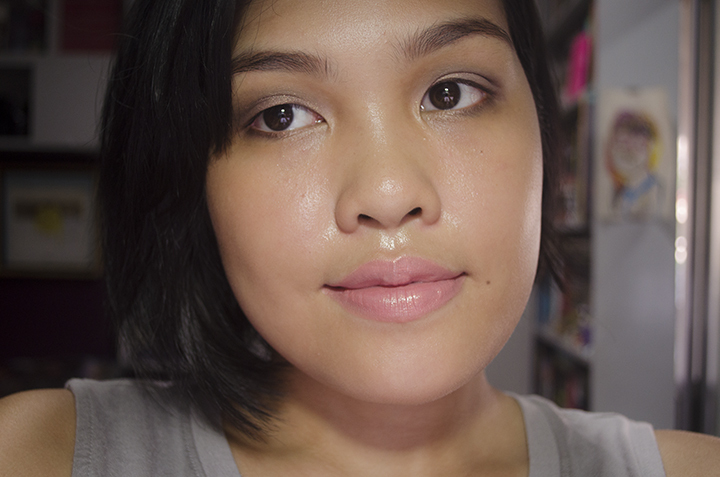 You can’t be too shimmery, because the natural glisten of your sweaty face will dewy-fy you automatically. I was hoping that this would be something similar to the BECCA Shimmering Skin Perfector, at least. Like, something you can put under your actual base product for illumination and as a moisturizer. 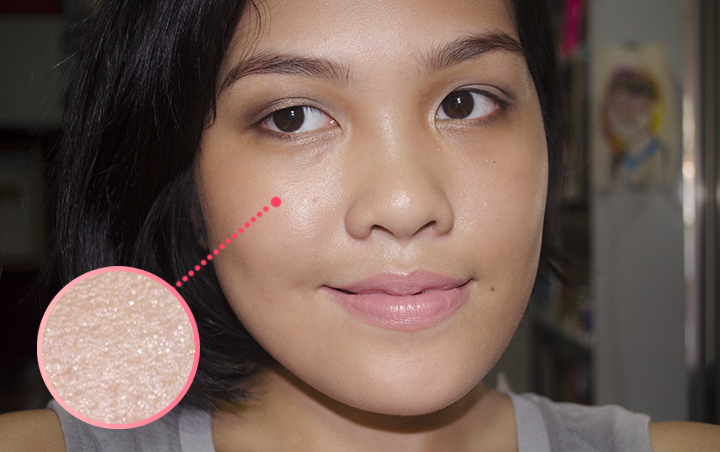 But the sparkles are just too obvious, and I can’t really recommend this product for daily use. Sorry! You could try to see if they work out for you. Personally doesn’t work out for me. Haha, just recently tried this. After that, saw this all over instagram and was silently curious as to how people sent with a PR sample would write about it. I didn’t like it too. Got mine for php 50 lang. On sale at Watsons. I really wanted it to work so I could support a local tinted moisturizer. But this one is beyond salvation. 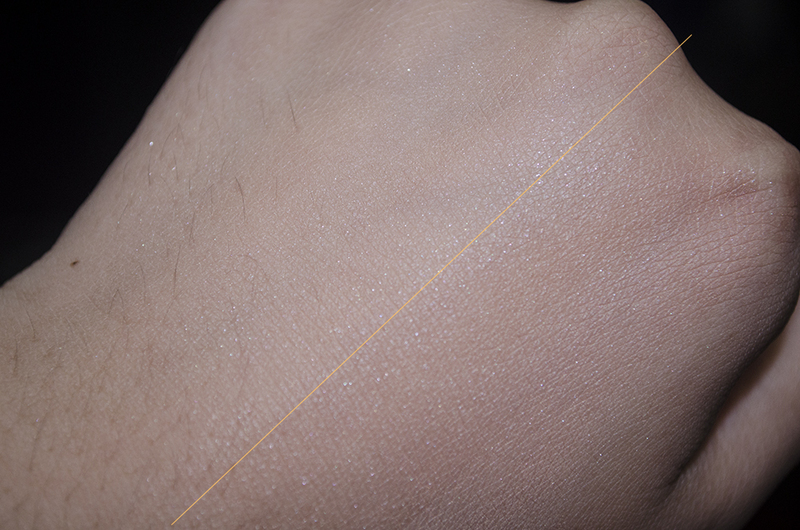 Even if you top it off with powder, the glimmers are still there. I think Beige users have it worse. The glitters are really obvious in our office lighting. Same; I don’t think I ever used it on my face, though, actually. What a bummer! I really didn’t like the tinted moisturizer they came out with years ago precisely because of the glittery twilight factor. Plus, it gave me terrible whitecast in flash photos. I do like their regular moisturizer, though. Happy to hear that their regular moisturizer works great! Thanks for that great review! I guess I have to pass on this one. Its not for me. 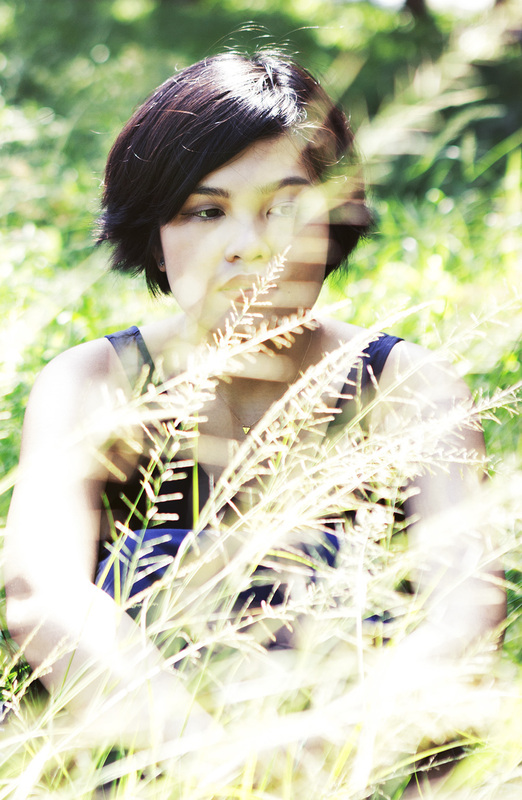 Aw, try mo, sayang naman! Baka okay lang sayo. 🙂 Pat of BecomingSleek likes it!